Boiler Scrappage Scheme: Are You Eligible? It was recently announced that the governement will provide grants under the Boiler Scrappage Scheme. This means over 3 million homes that have inefficient boilers can now be givne an incentive to change to an efficient one. 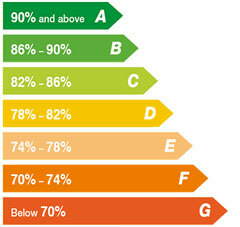 How much grant with they give me if i use the Boiler Scrappage Scheme? The scheme outlines the government is offering up to 125,000 households financial help – up to £400 – with upgrading them to a high efficiency A-rated one or a renewable heating technology. But are you eligible for the governement grant? Well the new scheme is open to householders in England living in an owned or privately rented home. The criteria is also based on age. If you are under 60 you can only apply for the scheme if the boiler you are scrapping is in working order and is the main boiler used to heat the home. If you are 60 or over you can apply for the scheme regardless of whether the boiler you are scrapping is in working order. However, it still needs to be the main boiler used to heat the home. How do i know if i have a G-rated boiler? Look to see if it has a permanent pilot light. If it does, it’s likely to be just that. If it is gas-fired and more than 15 years old, or if it’s oil-fired and over 25 years old, it’s likely to be eligible. If you’re still not sure, you can check the boiler’s make and model at the Government’s Boiler Efficiency Database. What next if the above applies? If you’d like to register in the boiler scrappage scheme, you’ll need to email the Energy Savings Trust at boilerscrappage@est.org.uk or call the Act On CO2 advice line on 0800 512012. You’ll need to have full details of the boiler, the installer, the type of boiler you plan to replace the old one with and confirmation that you’ve received a quote from your installer. Most people are probably not able to afford a new boiler that have a G-rated one. So the common view is this will have a very limited take up. If you do qualify for the scrappage scheme, please let us know by commenting below. After reading your article, it appears i am qualified under the scheme. I think it is a good idea, but it should be rolled out to other grades of boiler so more people can take advantage of it.